Pearl millet / Kambhu is a healthy and highly recommended cholesterol lowering grain. Its mostly used to make rotis and commonly seen in North Indian houses. Wanted to try adai with Kambhu it was so nutty in flavor and totally yummy. Soak Rice, Thoor dhal, Channa dhal, Uradh dhal ,Yellow Moong Dhal for 4 hours and grind coarsely with red chillies and ginger. Add the batter to the pearl millet flour add salt, turmeric powder, asafoetida mix them well and rest for 2 hours. 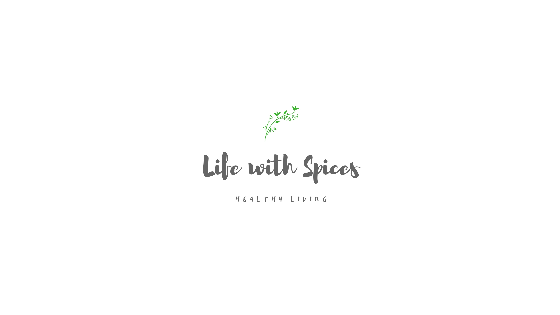 In a pan heat 1 tsp oil add mustard seeds once it cracks add cumin seeds, onion, curry leaves, green chilli saute them well and it to the batter. In a tawa pour adai batter spread it and drizzle oil when its cooked turn it to the other side and cook until crispy. 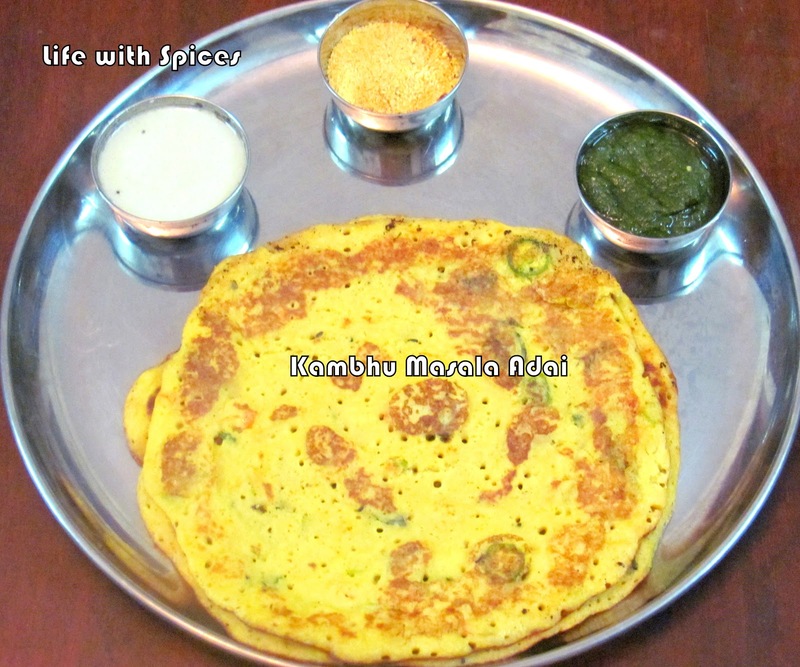 additon of kambu in adai...wonderful idea...looks yumm. What a lovely colour ...and the adais looks absolutely divine. very delicious and healthy adai!! Superb adais, even I try to add this flour or ragi to adais, so you serve tiffins with two chutneys..mm..
your ost reminds me of my Grandma's adai which she makes for our evening tiffen :) very healthy n nutritious adai, tasty too...well made! Wow!looks so tempting and delicious,never tried with bajra.We make it with wheat flour instead of bajra. I have bajra flour at home. Should try this. Very unique adai, looks so yummy n healthy. Healthy and delicious adai.. looks yummy ! !